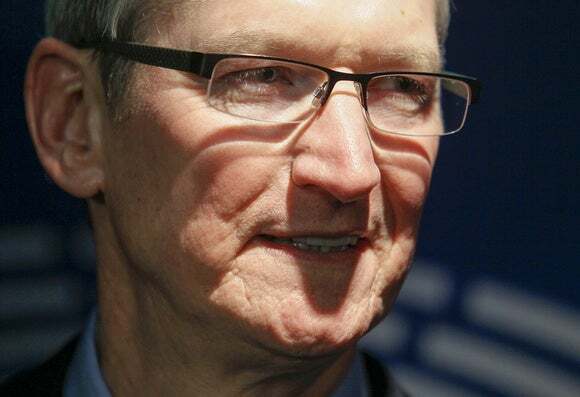 Continuing his bid to woo Indian customers and developers, Apple’s CEO Tim Cook on Thursday said the company was setting up a new development center for its Maps product in Hyderabad in south India. Apple earlier on Wednesday announced it would set up by early next year a facility in Bangalore to focus on helping developers on best practices and to improve the design, quality and performance of their apps on the iOS platform. Cook is on his first visit to India where the company saw a 56 percent year-on-year growth in iPhone sales in the first quarter even as its global iPhone sales and overall revenue dropped. Apple’s new center will focus on the development of Maps for Apple products such as the iPhone, iPad, Mac and Apple Watch. The investment will accelerate Maps development and create up to 4,000 jobs, the company said. The Cupertino, California, company did not disclose the size of its investment in the center though some reports have placed the figure at US$25 million. A large number of U.S. companies, including Texas Instruments, Oracle, Microsoft and IBM, have set up software, chip design and product development centers in India, to tap the country’s large pool of engineers. “The talent here in the local area is incredible and we are looking forward to expanding our relationships and introducing more universities and partners to our platforms as we scale our operations,” Cook said in a statement. India is the third largest smartphone market in the world, after China and the U.S., according to Gartner research director Anshul Gupta. India is considering new rules on geospatial data collection that would require security clearances for the collection of mapping data in the country as well as its dissemination online, which could have a chilling effect on crowdsourced maps and other user innovations. These rules may not affect Apple’s new center, which appears to be focused on product features development rather than data collection. Cook is expected to meet India’s Prime Minister Narendra Modi and other officials this week, when he is expected to address the company’s request for the import of refurbished iPhones, a move that could make the phones more affordable in a price-sensitive market. Modi will likely press Cook to manufacture the phones locally as part of the country’s “Make in India” program. Apple has also asked the government for a waiver on its rule that wholly-owned retail stores of foreign brands should sell products with 30 percent local content.